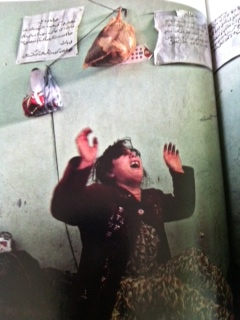 In my last posting I informed everyone that I will do a three part series on the plea of Afghanistanian women. In part two of this series I want to highlight three women who all came from different backgrounds. 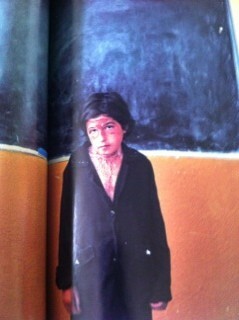 The first of the three is a young girl by the name of Fariba. Young Fariba took a bottle of petrol and set herself on fire. It is estimated that over 2,300 young girls or women attempt suicide each year as a way to escape domestic violence from their abusive partners, or family members. It is unclear why young Fariba doused herself with petrol and lit herself on fire as a means of committing suicide; however, if one life can be saved from the shame and guilt felt by survivors who attempted suicide, then, it’s worth fighting for. The next person I want to highlight is Bibi. Bibi got married to her husband at age 12. She said that she was beaten by her husband from the day she was married. Having enough of his beatings, Bibi decided to run away a few years ago, taking refuge with her neighbor. To her chagrin, when he found her, not only was she badly beaten, but he disfigured her by cutting off her nose, ears, and hair. The most galling part of her ordeal was that a group of men held her down while her misogynistic husband maimed her. Often in cases like this women are voiceless and helpless. Fortunately for Bibi, she came to the US a few months ago at age 20, to have reconstructive surgery to her face and ears. Finally, I want to draw attention to Maida-Khal’s plea. Maida-Khal is currently in prison for what authorities call immoral behavior. Maida-Khal was 12 years old when she was forced into a marriage with a 70 year old paralyzed man. She was forced to carry this man whenever she was going out. At times she refused to carry him because he was so heavy. As a result her husband’s brothers constantly beat her. Four years ago at 18 years old, she asked for a divorce; as a result, she was imprisoned on the grounds of a ‘moral crime.’ A few months ago, at age 22, she was released from prison, but yet, she cannot leave because in order for her to leave, she must have a ‘mahram,’ (a male guardian). Could you imagine someone not allowed to leave prison because a man cannot vouch for them? How insane? The stories that I highlighted in this posting of Fariba, Bib, and Maida-Khal are just the tip of the iceberg. What these individuals have in common is that they are women living in a misogynistic society. How many more Bibi’s Fariba’s and Maida-Khal’s are out there? How many sisters in the US are silently suffering at the hands of their abusive husbands? I am asking you to stand up for the rights of these young women. In my next posting I will offer up some suggestions as to how we can use every possible social network to raise awareness to these innocent young women. What kind of disgusting nonsense are these people doing to their young women. Words are not enough to describe the pain and suffering of these women. It's a shame that in this modern day this type of barbaric treatment of women are still allowed. Its shocking to hear about the stories of these woman. Dont these men have mothers or sisters why don't they feel any remorse for the things they do to these woman. so sad to hear this, but I know it happens all around our world, and we know we are the lucky groups. Quite sad.. I pray for these unfortunate women. Protoworkannie, you're right, we're part of the fortunate ones. Perfectly written Patrice. As I read I am greatful for my own freedoms. I hear GOD saying to me do not take your life for granted because I can choose my mate. I will not complain about dating any more! I will pray that these women and many more women like them can get the freedom they deserve! Awful and disgraceful. What a shame! I really believe in what you are doing and resonating through your wonderful throughts. I truely believe and support your cause because this is the reality we live in, and we need to not only make a change but be the change we wish to see in this world, as Mahtma Ghandi once stated. However, i highly recommend you write and publish a publish a book for purposes of public awareness. Politically speaking, it should be in favor of our government's intentions and goals fighting the war; so the support is there from our politicians. Social networks such as facebook will be a great medium to gain public support and spread the message. I will add your inspirational/influential website to my fb page and do my part. Thank you for the priviledge and opportunity to read, learn, and remain informed. This is one of the saddest things that I have ever heard. It is as if women are not respected, not looked up to. I feel that everyone deserves respect and should be heard.